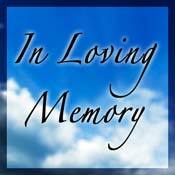 Please email or call us if you would like to mark the passing of a loved one - or remember an important date to you. This service is completely free. Colin Watson - aged 95. Born on 16th September 1920 in Wharf Lane, Lowgates, Staveley, Colin tarted work at Staveley Coal and Iron Co. at the age of 14, and stayed there until the late 1950s. Colin, pictured, married Mary Strong (1924-2000) of Whittington Moor in 1944, and lived in Hollingwood until emigrating to South Australia in 1964, but never forgot his years in Staveley, or lost his accent! 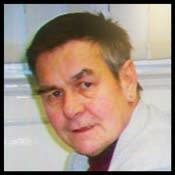 A much loved father of Colin (UK), Sheila (deceased) and Paul (SA). Norman Lee - aged 82. Mr Norman Lee, aged 82, died at home on Saturday 18th June 2016. His funeral will be held on Monday 4th July, 11 am, at Sutton Scarsdale Church in Chesterfield. Robert Gillatt - born 23/01/1945 - died 24/02/2016 at Chesterfield Royal Hospital. Thursday 10th March, at 13.30. Desmond Smith - aged 81. 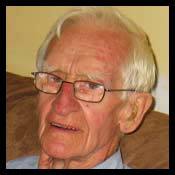 Desmond peacefully passed away on Sunday 8th November, following a short illness at Chesterfield Royal Hospital. Loving Dad of David, Joanne, Melanie, Matthew and Tanya. The Funeral (no service) is to be held on Friday 20th November at 8.50am, at Chesterfield crematorium. All are welcome to say your goodbyes. 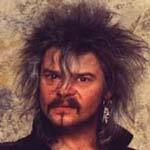 Former Motorhead drummer, Hasland born Phil 'Philthy Animal' Taylor has died aged 61. Guitarist 'Fast' Eddie Clarke wrote on Facebook, "My dear friend and brother passed away last night... He was one hell of a character." 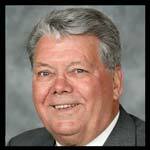 Tuesday 11th August 2015 Chesterfield Borough Council is paying tribute to Alderman Jim McManus, who died peacefully this morning. Jim was a member of the council for 28 years. He was first elected in 1987 and retired at the recent elections held in May. He served as the borough's mayor in 2001 to 2002 and was the council's executive member for housing from 2011 until earlier this year. The funeral was held on Wednesday 29th July at 11.40am at Wilford Hill Crematorium, Nottingham. There were no flowers by request, and all donations are to be made payable to S. Mullins, 16 Westmoor Road, Birmingham Common, Chesterfield, S43 1PT. This is to help further their commemoration work, remembering the deceased soldier's of Birmingham. All enquiries to The Co-operative Funeralcare, 99 Derby Road, Stapleford. Notts NG9 7AR Tel 0115 949 9254. The Chesterfield Post would like to apologise to Grace's family as the obituary was due to be published earlier in July before the funeral date. This was a genuine mix-up on our part and we apologise for any distress caused. Staveley MWFC and Chairman Terry Damms, send their condolences to the family of Bernard Tilley, who sadly passed away today. Terry Damms said. "Bernard was a lovely man and a gent who will be hugely missed here. Rarely have I met a gentleman with such manners, politeness and honesty - and the news is devastatingly sad for his family. 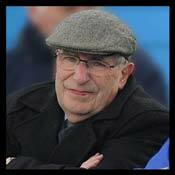 "RIP Bernard and thank you for being a friend and supporting SMWFC. You will be sadly missed." The death has been announced of Patricia Anne Turnbull. Patricia passed away at home on November 23rd 2013. Her Funeral Service will take place on Thursday 12th December, 11:15 at the Huddersfield Crematorium. No flowers please, Donations instead to MIND Charity or the Cats Protection League. All enquiries to The Gables Funeral Service on (01484) 424235. 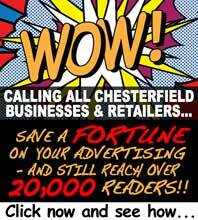 Searching for the next of kin of Mr John Hudson (Deceased), who died on 23rd July 1994 in Chesterfield. on 0845 882 8121, when phoning please quote our ref: 3638270003.